Soldiers and Sailors Monument Faces South - Do You Know Why? 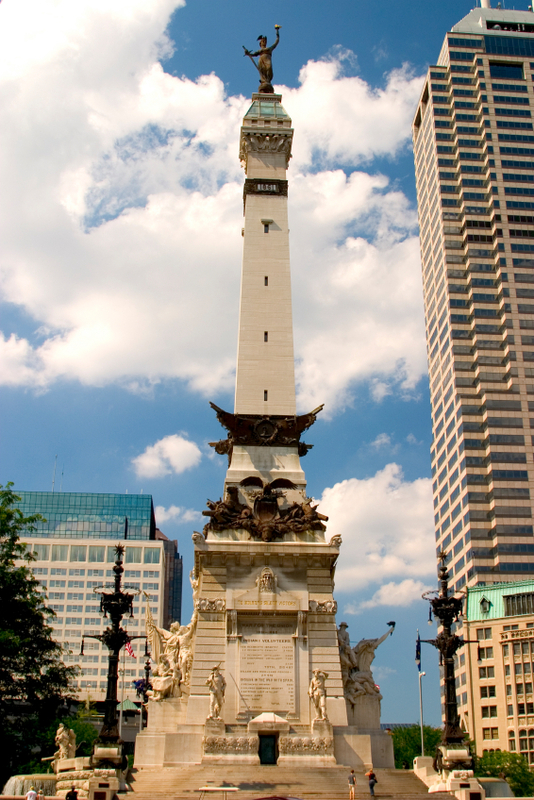 Soldiers and Sailors Monument, an Indianapolis landmark, is located in the center of the circle in Downtown Indianapolis. The monument was commissioned in 1888, and was erected to to honor Indiana’s Civil War veterans. Made from Indiana limestone, the monument was completed in 1901 at a cost of $600,000. At the time the monument was constructed, the primary mode of transportation was the rail raod. The train station lies to the south of the city of Indianapolis, so the Statue faces the train station, watching and waiting to welcome home returning soldiers.